Shiri Ellenbogen is a Naturopathic Doctor and Biochemist with diverse background in Naturopathy, Nutrition, Reflexology and Biochemistry. She earned her Naturopathic Doctor's degree (ND) from Broshim Campus, Tel-Aviv, which is affiliated with Tel-Aviv University in Israel and her Bachelor and Master degrees in Biochemistry from the Department of Neurobiology at Tel-Aviv University. 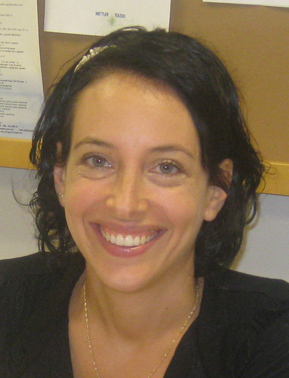 During her studies, Shiri received the prestigious Yafa Keydar Award for Cancer Research. In the past few years Shiri has founded and managed a healthy naturopathic food catering and participated in a series of shows on Israeli national TV (channel 2) as a naturopathic nutrition specialist. She gave healthy cooking seminars for patients in hospital, children in school and for private individuals. In addition she designed a special nutrition education program for children and their parents. Shiri is also a certified reflexologist and clinical herbalist, working with Western herbs and Bach Remedies and worked as an advisor at the Complementary Medical Services Department in Asaf-Harofe Medical Center, Israel. Shiri believes that with the right guidance everyone can significantly improve their well being with a few simple steps. To achieve good and long lasting results, Shiri uses the whole body & mind approach and tries to address all aspects of her patients' health concerns.